If you’re not a frequent visitor to LoDo, you may not be aware of the transformation taking place behind Union Station. 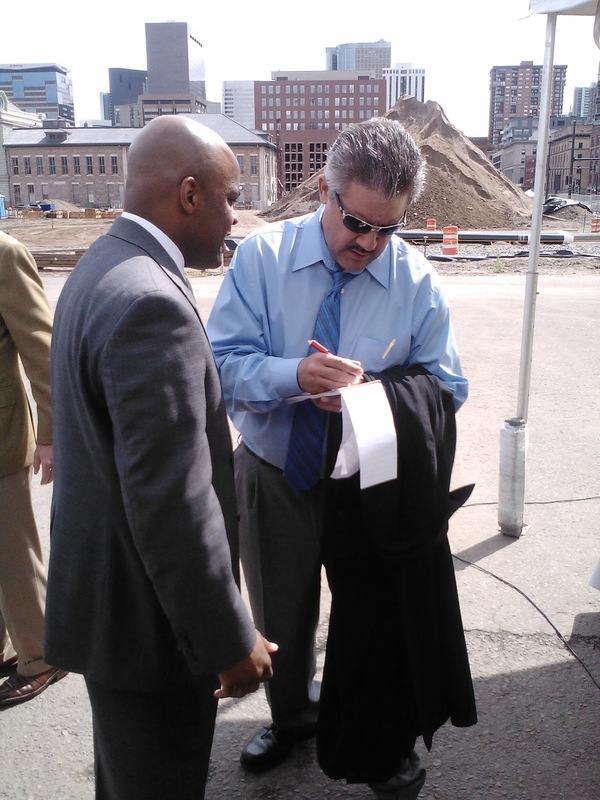 The area surrounding the historic train station is being converted into a state-of-the-art transit hub, complete with a commuter rail station and an underground bus facility, scheduled to open in 2014. The project is spurring a bevy of new developments, including Cadence Union Station, a new high-rise apartment community from Zocalo Community Development. 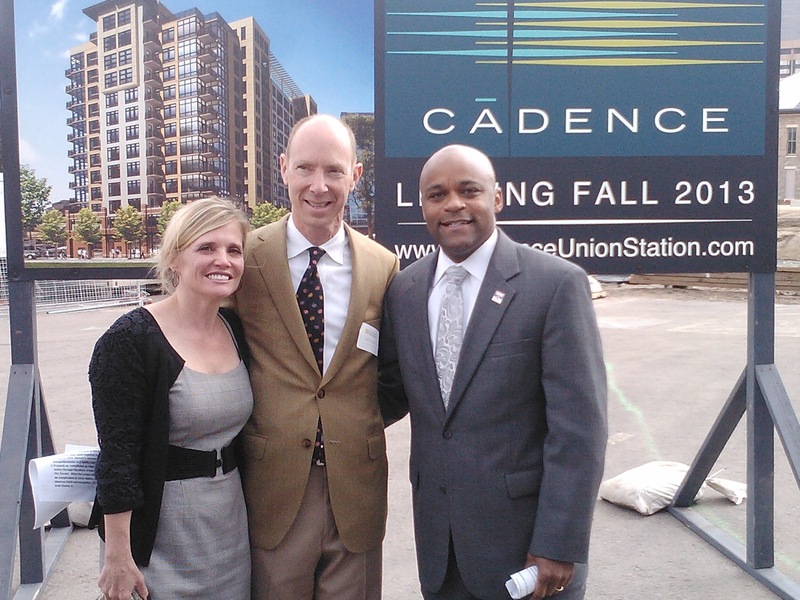 We were on hand late last month when Zocalo (a longtime client of The Stasko Agency) broke ground on Cadence, the first apartment project to be built at the Union Station site. 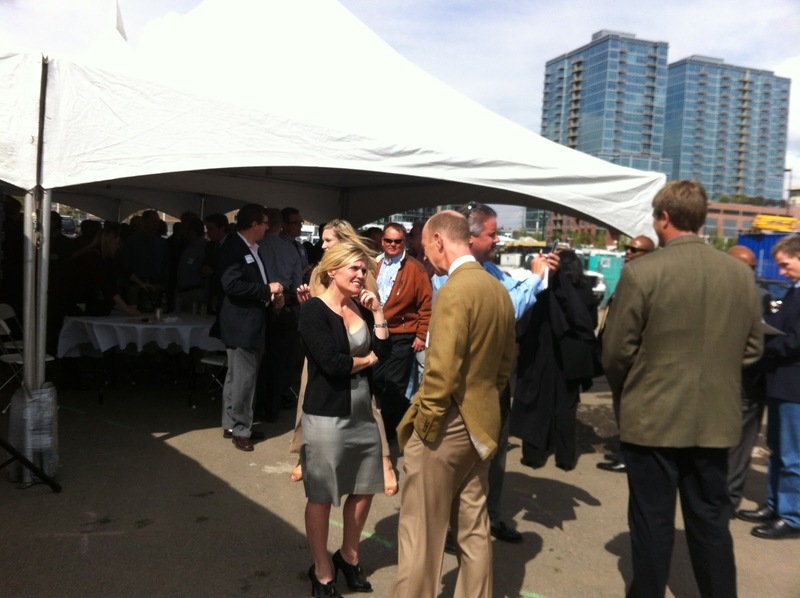 The event drew a slew of dignitaries, including Mayor Michael Hancock who talked about the significance of the Union Station redevelopment of Union Station and how essential it was for Denver’s future growth to have housing located near public transportation. 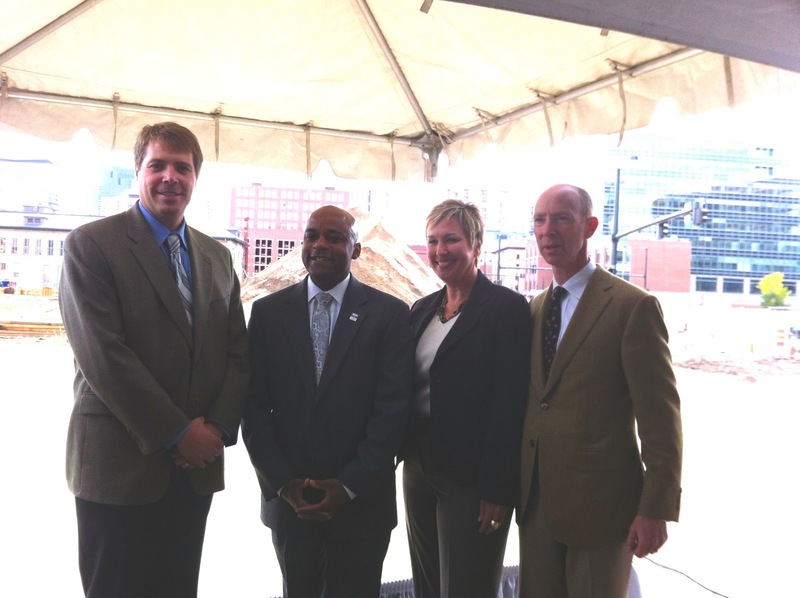 Tami Door, president and CEO of the Downtown Denver Partnership also publicly congratulated Zocalo on making Cadence a reality, as did RTD General Manager Phil Washington. Like many of Zocalo’s developments, Cadence will have a strong focus on sustainability and aims to earn LEED Gold certification. According to Zocalo’s estimates, the building’s residents will spend 50 percent less on utility bills than they would living in a similar, non-LEED certified building. The project will include studios, one-bedroom and two-bedroom units and will offer residents a rooftop pool, rooftop fitness center and a variety of community gathering areas. 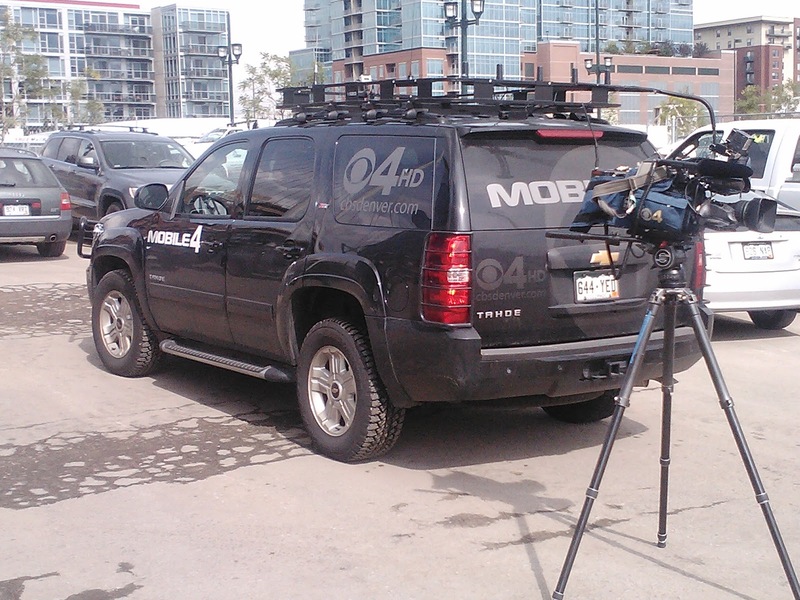 Because of its distinction as the first residential development in the Union Station Neighborhood, media interest in Cadence’s groundbreaking was strong. Zocalo Principal and Director of Development David Zucker was interviewed about the project on 9News and the development was also featured in the Denver Business Journal and InsideRealEstate. 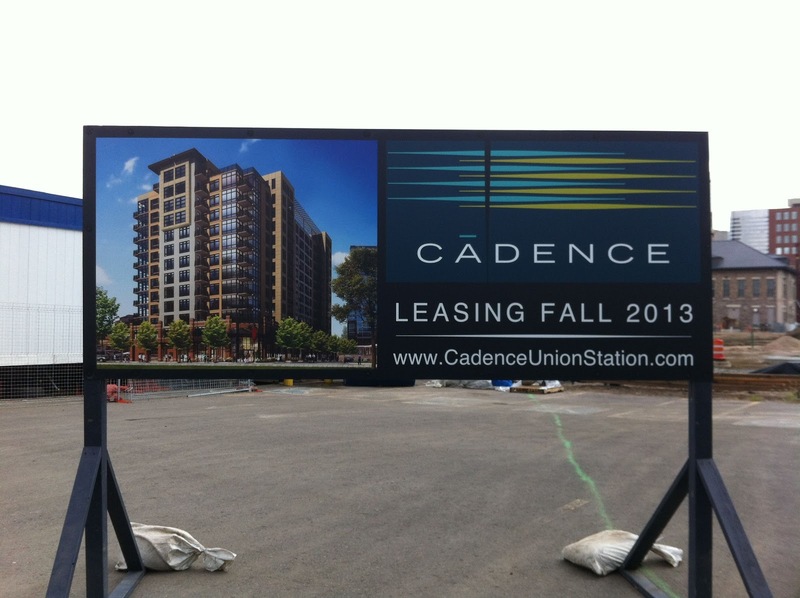 Thanks to its location adjacent to Union Station, Cadence residents will have easy access to a variety of metro-area destinations, including Denver International Airport. The building is also steps away from dining, shopping and within walking distance of cultural attractions and sports facilities. We’ll be working with Zocalo through the development process of Cadence and will keep you posted as the project’s progress. We also want to congratulate David Zucker and Chris Achenbach, who serves as principal and director of construction for Zocalo, for being selected as winners in the Denver Business Journal’s Power Book in the Residential Real Estate category.